Many people drink diet soda because they believe that they are zero calorie drinks that will prevent weight gain. They prefer drinking diet soda over ordinary calorie-laden drinks because they believe that they get the same taste without increasing their calorie intake. However, a recent study presented at the American Diabetes Association Conference is likely to change the views of people who drink diet soda. 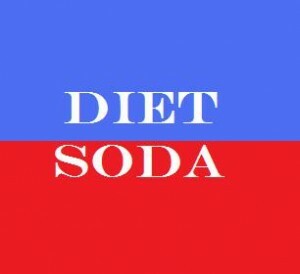 According to the study, when people drink diet soda they not only increase their expenses but also their waistline. The study looked at the impact of on people who drank diet soda. The study found that people who drank diet soda ended up gaining weight and their waistline increased by more than three times when compared to people who did not drink diet soda. People who drank more than 2 diet sodas in a day increased their waistline by more than 5 times when compared to people who drank fresh water and juices. There are several explanations for the sharp increase in weight of people that drink soda that contain artificial sweeteners. One of the reasons why drinking diet soda results in bulging bellies is because artificial sweeteners taste present in diet soda taste thousands of times sweeter than normal sugar. When we drink soda that contains artificial sweeteners, the body starts expecting all sugary foods to be sweet. When the body does not get the expected sweetness, it starts craving for sugary foods which can lead to increase in weight. Another reason why experts suggest that you avoid drinking diet soda is because it can induce hunger. When people drink diet soda, it results in increased production of grehlin and insulin which are known to increase hunger. Therefore, it is best that people drink at least 7 to 8 glasses of water every day to prevent weight gain. If you find it difficult to suppress your urge for a soda, you can drink club soda with citrus.